My favorite recipes are rooted in something familiar but include a twist to make it more unique and fun. Pilafs are usually grain-based but this lentil pilaf highlights one of my favorite legumes: black lentils. Paired with roasted romanesco, a spice-laden dressing, and dates, the pilaf is unique, beautiful, and tastes amazing. One word of advice: don’t try to swap red lentils for black! French, green, or brown are all better alternatives! 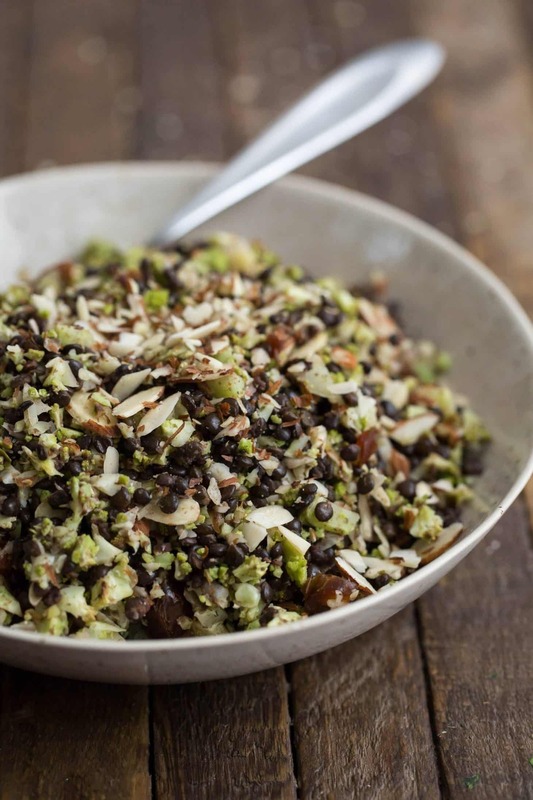 The post Romanesco Black Lentil Pilaf appeared first on Naturally Ella.